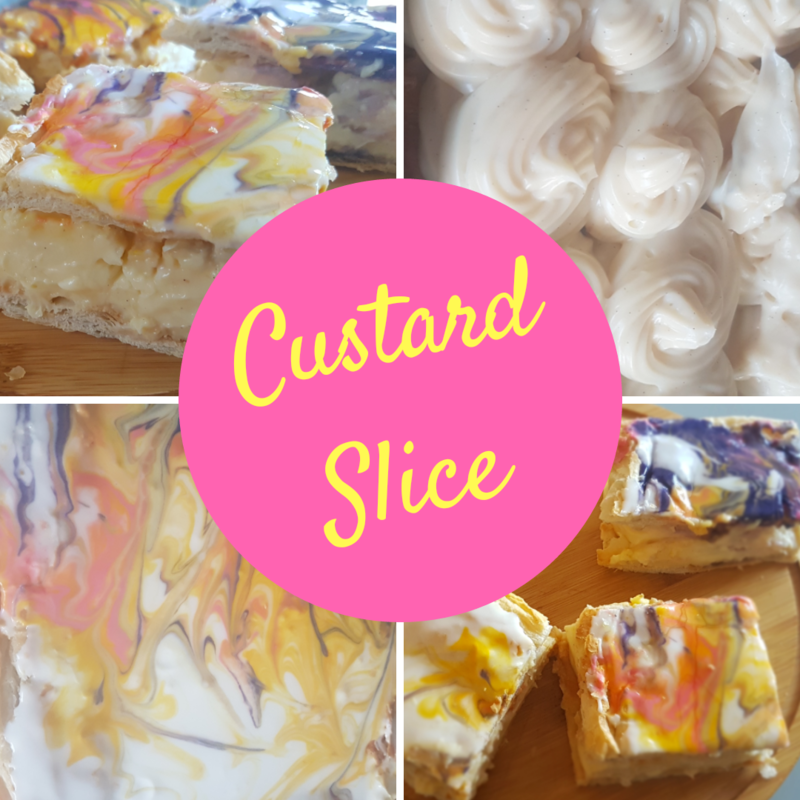 Custard slices are a British institution, much like Stephen Fry, Big Ben and queuing. 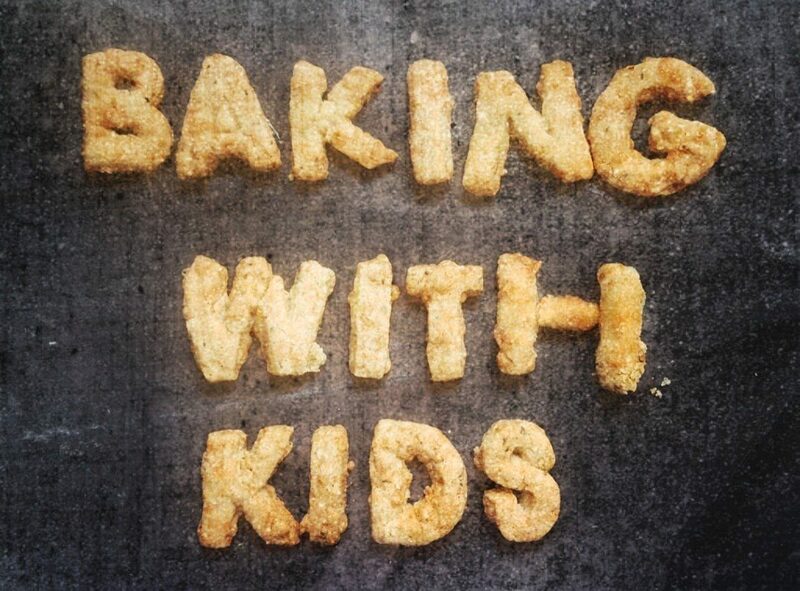 Our take may not be super refined but they are delicious and simple enough to make with a 3 year old. This is a bit lengthier than my usual recipes so I’ll spare you the chatter and just get on with the detail. You will need 2 lined baking trays plus extra baking paper. Roll out your 2 sheets of puff pastry and place on your lined baking sheets. Cover with another sheet of baking paper and pop something heavy on top to weigh it down (you don’t want the pastry to rise). We used a cast iron cooking pot and the lid. 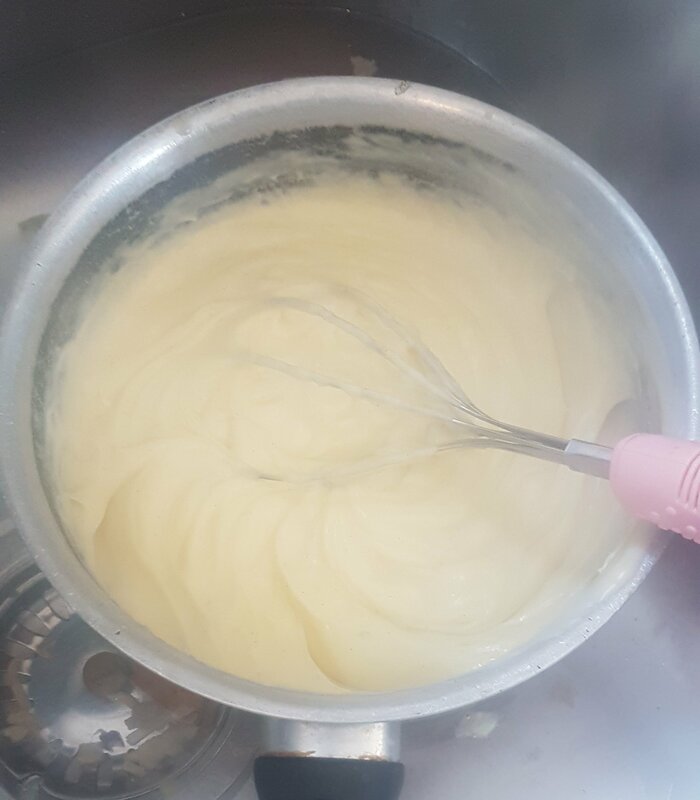 Gently heat the milk, cream and vanilla in a saucepan (grown up job) until nearly boiling then pour into the egg yolk mixture while mixing. Pour back into the saucepan and continue to cook over a low heat whilst stirring until it thickens. This may take a while and don’t worry if it seems to lump up a bit before it thickens, it’ll get there. Once it has thickened take off the heat and submerge the pan in water and continue stirring until cool. 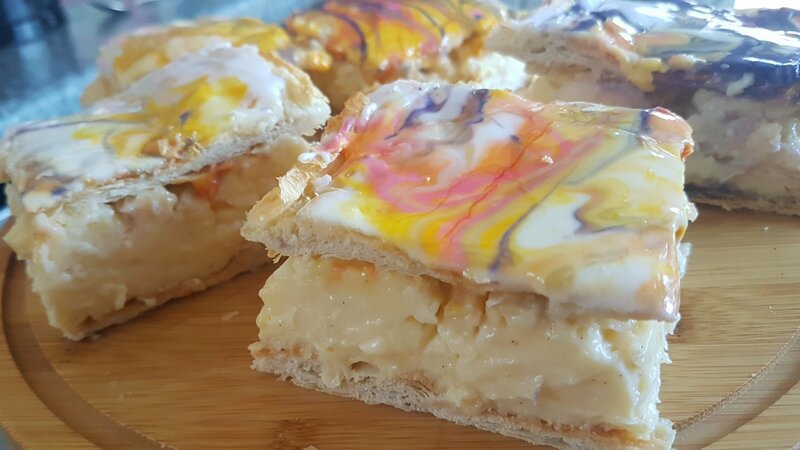 Pop one sheet of cooked pastry in the base of a deep baking tray or a 20cm square cake tin. Once cool pipe or spoon the custard onto the bottom sheet (we piped ours in large swirls) and place in the fridge to chill. Beat the icing sugar together with the egg white and gradually add the water until you have a thick but spreadable consistency. If you want psychedelic swirly slices like us separate a few spoonfuls of the icing into bowls and add a little gel or paste food colour to your required colours. Pour and spread the icing over the second sheet of pastry and pop on top of the custard. Return to the fridge to set for an hour or so. Next Next post: What the Fudge?